Here’s a wonderful article on an exciting development in the role of glial cells and CSF in the brain. “ScienceDaily (Aug. 15, 2012) — A previously unrecognized system that drains waste from the brain at a rapid clip has been discovered by neuroscientists at the University of Rochester Medical Center. 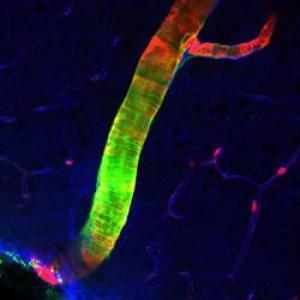 The findings were published online August 15 in Science Translational Medicine. Waste clearance is of central importance to every organ, and there have been long-standing questions about how the brain gets rid of its waste,” said Maiken Nedergaard, M.D., D.M.Sc., senior author of the paper and co-director of the University’s Center for Translational Neuromedicine. “This work shows that the brain is cleansing itself in a more organized way and on a much larger scale than has been realized previously.”We’re hopeful that these findings have implications for many conditions that involve the brain, such as traumatic brain injury, Alzheimer’s disease, stroke, and Parkinson’s disease,” she added. Without the house keepers the home doesn’t function. A life principle, we often don’t know til we know.